Parting from the colonial-era tradition of presenting the Union Budget on the last working day of February, the government will present it on February 1. And with the new beginning comes new expectations, which are already rising high. Struck by the demonetisation shock, Indian economy expect some sweet surprises as it gears up to strike the 2017 calendar. Post note ban, the Finance Minister rolled out many discounts to promote digital transactions. Hinting at rate cuts he said that the demonetisation and push for digital transactions will enable to make both direct and indirect taxes more reasonable at 'some stage'. Jaitley's statement has given hopes to many taxpayers. Even experts believe that after the 'courageous' currency ban move, taxpayers deserve some rebate. 1. 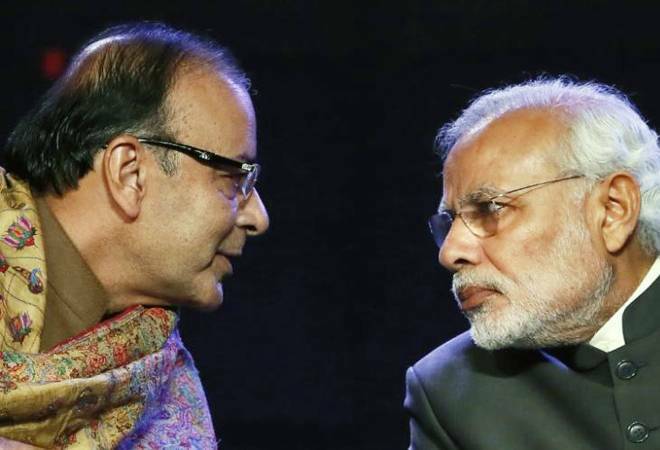 Analysts believe, while presenting the Budget, Finance Minister Arun Jaitley should consider widening the individual tax slab. With the continuous rise in the cost of living, raising the exemption limit is the need of the hour. Currently, the exemption limit is Rs 2.5 lakhs. 2. The section of salaried employees, staying in rented homes, also have expectations from the Finance Minister. Prices of property is shooting up not just in metros but everywhere. Considering this, it would be a wise move if the HRA exemption of 50% of basic salary, which is currently available only in case of metros, is also extended to Tier-2 cities. 3. In his third Union Budget of 2016-17, Finance Minister Arun Jaitley rolled out schemes and policies to further equip the healthcare sector of the country. With specific focus on improving the livelihood of the rural population, the Union Budget 2016-17 seems to be aimed at putting more money in the hands of the citizens. However, in terms of personal health, keeping in mind the rise in the healthcare costs, the exemption on account of medical reimbursement is restricted to Rs 15,000 per annum, which should be at least, doubled. 4. Under 80C, currently, the deduction in respect of various investments is upto Rs 1.5 Lakh. In a bid to boost savings; a corresponding increase in the limit to Rs 2 lakhs would be attractive. 5. Talking about the house properties, according to the present rules, house owners having more than one property are taxed on deemed income for unoccupied house. Many feel this rule is unfair, as there is no real income. Hence, a wide expectation is that this deemed income taxation should be removed and actual income earned should be taxed. 6. Experts believe that another amendment taxpayer is looking for is under Section 192. This section of the I-T act does not provide for claiming benefits of Federal Trade Commission (FTC) at the time of withholding tax. This results in deduction and deposit of higher tax at the withholding stage leading to the employee claiming refund at the time of filing return of income. This causes hardships related to follow up of refunds. Because of which, a tax payer desires that that Section 192 is amended so that while calculating TDS at the salary; benefit of claiming FTC is instantly available.